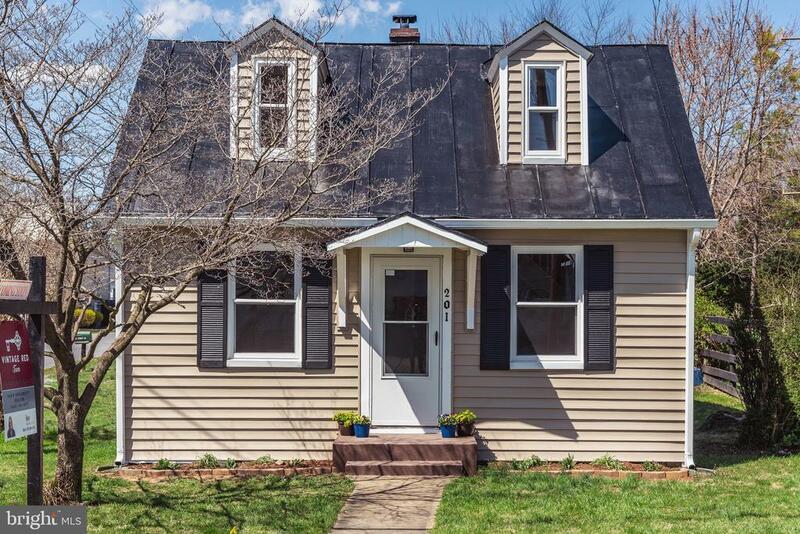 Completely renovated cottage on corner lot in Berryville. Move in ready! New windows, plumbing, paint, carpeting. NEW KITCHEN! Loft on upper level could easily be a 3rd bedroom. Bedroom on main with half bath. Detached one car garage with lots of storage. Mud room with washer/ dryer on main walk out to back yard. Welcome Home! Directions: VA-7W toward Warrenton/Winchester. Turn L toward Berryville on East Main ST. VA Business 7. Turn R onto 1st Street. Home is on L.